Dr. Lauren, is giving my child real fruit juice ok and is it helpful in preventing cavities if I dilute the juice with water? Great question! The simple answer to this question is NO! Simply put, juice and diluted juice contain sugar which is consumed by bacteria that produce acid which erodes tooth structure to cause tooth decay. One might ask, why is it ok to eat whole fruits, but not drink the juice? Let’s explain. Many believe that natural or organic foods, such as 100% fruit juice, are “good” and “healthy”. Natural and organic are not synonymous with “good” and “healthy”. In fact, many natural minerals and compounds are toxic and harmful. Furthermore, fruit juice is not natural. Fruit juice, in any form, has been processed. The process of juicing disrupts the natural elements of the fruit such as the rind, the pulp, and the seeds. 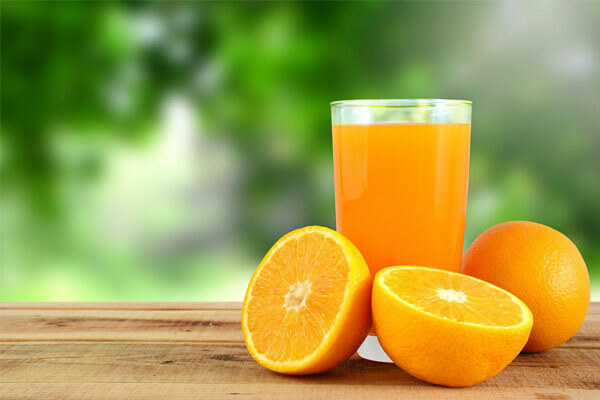 Many vital nutrients and minerals are lost during the processing of the fruit into juice. Fruit juice essentially has no added benefit in a well-balanced diet. Additionally, fruit juice has a much higher sugar concentration than the whole fruit as it takes many fruits to make a small amount of juice. It takes between 3-6 apples to make 8 ounces of juice; think of it this way, you wouldn’t sit down and eat 10 whole oranges, but you can easily drink them! Fruit juice is also harmful to the dentition because it is very acidic. Tooth enamel begins to break down when the pH of the mouth drops below 5.5. Apple juice has a pH of approximately 3.5. When drinking juice, the teeth are bathed in acid which promotes dissolution of enamel. Furthermore, whole fruits contain fiber, which when chewed results in less and slower release of sugar. The fiber and chewing also causes increased saliva flow which is protective against cavities by washing away the food and reducing the acidity. Unfortunately, when fruits are juiced, the fiber is lost or removed. Adding water to juice lowers the sugar concentration and acidity, but insignificantly. It does not eliminate the sugar and acidity. It is unlikely that the juice would ever be consumed at a “healthy” or “good” level of dilution. Let’s ask ourselves, if one is diluting the juice so much that the liquid is colorless and flavorless, why not just give plain water instead? Furthermore, by adding water to juice we are also increasing the volume of the juice, thus increasing the length of time to consume the juice. If one recalls from my previous blog, the total amount of sugar intake is less important in cariogenicity than the length of time or frequency the dentition is exposed to the sugar and acid. It is also important to remember the negative health concerns juice consumption has on the whole body and overall health. Since juice no longer contains the nutrients that whole fruit does, drinking juice results in the consumption of empty calories and excessive sugar, both of which are linked to childhood obesity and diabetes. Let’s say no to juice and yes to water for our kiddos and ourselves… and it goes without saying that other drinks (Vitamin Water, Gatorade, Powerade, Kool Aid, Sunny D, Capri Sun, flavored teas, etc.) essentially provide no nutritional value and are harmful to the overall health (body and mouth) of your child!